Provides basic consumer health information about the diagnosis and treatment of eye diseases and disorders and the prevention of eye injuries, along with tips for coping with low vision. Chapter 1—How the Eyes Work. Section 2.1—Simple Tips for Healthy Eyes. Section 2.2—Supplements and Protection against Eye Diseases. Chapter 3—Vision Disorders: A Statistical Picture. Section 3.1—Fast Facts about Vision Disorders. Section 3.2—Vision Loss: A Public Health Problem. Chapter 4—What You Need to Know about Eye Exams. Chapter 5—Screening and Diagnostic Tests for Vision and Other Eye-Related Problems. Section 5.1—Comprehensive Dilated Eye Exam. Chapter 7— Pediatric Vision Concerns. Chapter 8 — Adult Vision Concerns. Section 8.1—Common Vision Problems in Adults. Section 8.2—Normal Changes in the Aging Eye and Their Symptoms. Section 8.4—Vision Concerns in Pregnancy. Chapter 9 — Current Vision Research. Section 9.1—Visual Impairment, Blindness Cases Expected to Double. Section 9.2—Use It or Lose It: Visual Activity Regenerates Neural Connections between Eye and Brain. Chapter 11—Eye Movement and Alignment Disorders. Section 12.3—Fitting Glasses for Children. Section 12.4—Using Sunglasses to Protect Your Eyes. Section 13.1—Types of Contact Lenses. Section 13.3—Proper Care of Contact Lenses. Section 13.4—Contact Lens Care Systems and Solutions. Section 13.5—Things to Know about Decorative Contact Lenses. Section 13.6—Contact Lenses for Children. Section 14.4—What to Expect before, during, and after LASIK Surgery. Chapter 15—Photorefractive Keratectomy (PRK) Eye Surgery. Chapter 16—Laser Epithelial Keratomileusis (LASEK) Surgery. Section 17.2—Are Phakic Lenses for You? Chapter 26—Disorders of the Retina. Chapter 27—Disorders of the Vitreous. Chapter 28—Disorders of the Uvea. Section 30.1—Workplace Eye Injuries and Diseases. Section 32.4—Foreign Objects in the Eye. Chapter 34—Disorders of the Tear Duct. Chapter 35—Computer Vision Syndrome (CVS). Chapter 36—Hereditary Disorders Affecting Vision. Section 36.4 — Bardet-Biedl Syndrome. Section 36.6 — Fuchs Endothelial Dystrophy. Section 36.7 — Ocular Albinism. Chapter 38—Infectious Diseases Affecting Vision. Section 38.4-HSV (Herpes Simplex Virus) Keratitis. Chapter 39—Fungal Infections Affecting Vision. Chapter 40—Stroke and Vision Loss. Section 42.2-Stay on TRACK to Prevent Blindness from Diabetes. Chapter 43—Other Disorders with Eye-Related Complications. Section 43.1—Acquired Immune Deficiency Syndrome (AIDS). Section 44.1—What Is Low Vision?. Section 44.2-What Is Legal Blindness? Chapter 45—Tips for People with Low Vision. Chapter 46—Home Modifications for People with Low Vision. Chapter 47—Independence and Mobility for People with Low Vision. Chapter 48—Low Vision and the Workplace. Chapter 50—Vision Health Initiative (VHI). Chapter 51—Glossary of Terms Related to Eyes and Eye Disorders. 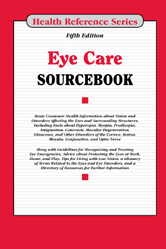 Chapter 52—Directory of Resources Related to Eye Disorders and Vision Loss.